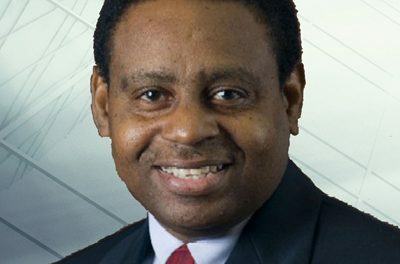 Cleviston Haynes has been appointed as Governor of the Central Bank of Barbados. Minister of Finance and Economic Affairs, Christopher Sinckler, pursuant to the powers vested in him under Section 11 (1) of the Central Bank of Barbados Act CAP 323C of the Laws of Barbados, and with the concurrence of the Cabinet of Barbados, approved the appointment of Haynes to head that institution for a period of five years, with effect from January 1, 2018. The new Governor has over 37 years’ experience in central banking, with emphasis on macroeconomic policy and bank regulation. He has acted as Governor of the Central Bank from February 24, 2017, after he took over from Dr DeLisle Worrell. Haynes started his career at the Bank as a research trainee in 1980, and held various positions there, including Advisor to former Governors Calvin Springer, Winston Cox, and Dr Marion Williams. He was Deputy Governor from February 2009 until early this year. His tenure at the Central Bank was briefly interrupted from 1987 to 1989, when he served as technical assistant to the Canadian executive director at the International Monetary Fund. Haynes attended the University of the West Indies, Cave Hill Campus, where he received a Bachelor of Science in Economics. He later went on to the University of Western Ontario and earned a Master of Arts in Economics.